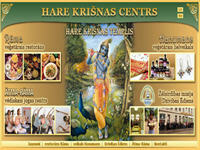 The official website of ISKCON Regina, Canada. The presiding deities Sri Sri Radha Krishna are served by the devotees at this center with great devotion and dedication. A Vegetarian restaurant, a Yoga center and A store selling a variety of Indian products are the various attributes of ISKCON Regina.